stories of women who made history with courage and integrity. Joan of Arc (1412 – 1431) – According to historians, Joan lived in the village of Domrémy, France as the daughter of a tenant farmer Jacques d’Arc. Born to a common peasant family during the Medieval Era, Joan did not learn to read or write. She was raised during the tumultuous Hundred Years War between France and England. Shortly after she was born, England invaded France and usurped rule over her region. At age 16, Joan went disguised and in secret to the dethroned prince of France, the Dauphin Charles VII, urging him to allow her to help expel the English and reunite France under French rule. She defied her role as a peasant girl by dressing in men’s clothes and leading an army across enemy lines, successfully pushing back English forces. She was captured by the English and famously burned at the stake. However, her bravery and piety paid off. 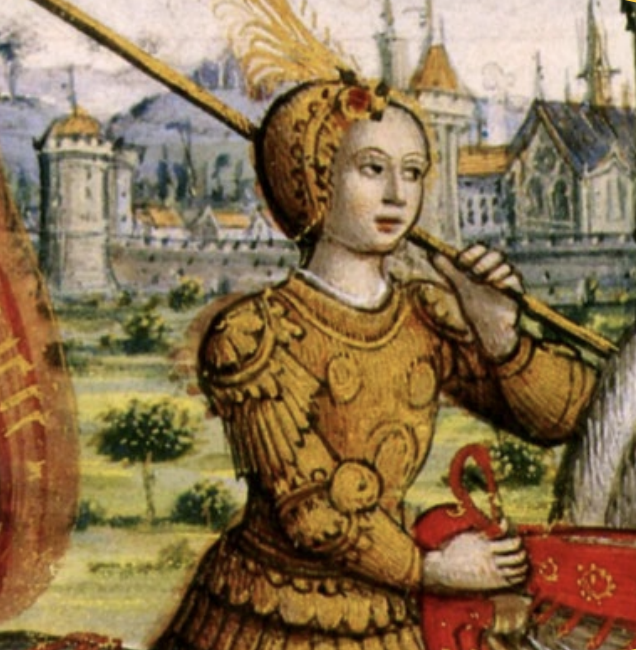 Charles VII did retain his crown, Joan’s name was cleared, and she has since become a martyr and national hero. She is canonized as a Catholic saint and is today the patron saint of France. 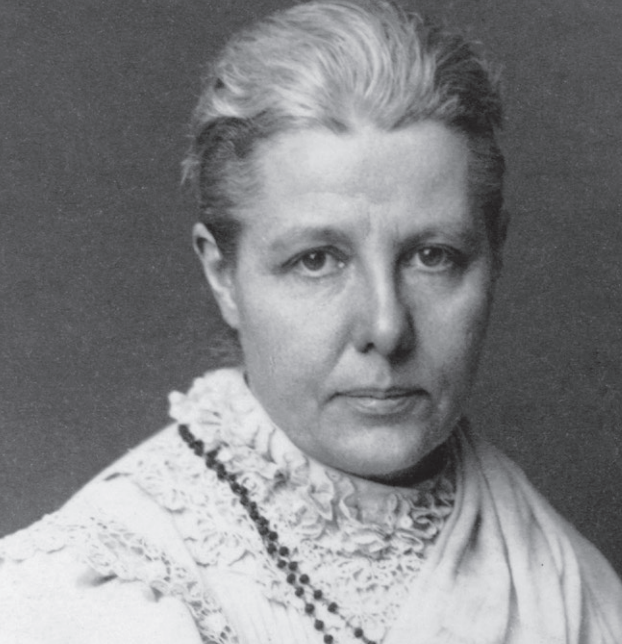 Annie Besant (1847 – 1933) – With no less courage, but certainly a different philosophy, Annie Besant stood up for social and political change during the height of the Victorian Era. At age five, Annie’s father passed away, leaving her family penniless. Due to the generous sponsorship of a family friend, Annie was allowed an education. She married at age 19 to Frank Besant, an Anglican clergyman who very quickly proved too conservative for her. She was not satisfied with the Victorian mores concerning wives. She was a published author, a vocal lobbyist for worker’s rights, and an open critic of the Christian church. Leaving the Christian faith, she also separated from her husband, which freed her to become more involved with causes that mattered to her. She campaigned for women’s rights, birth control, unions, and the independence of Ireland and India from British rule. Although she had no background or wealth to her name, she is remembered for the extraordinary impact she has had on the United Kingdom, Ireland, and India. Rosa Parks (1913 – 2005) – Rosa Louise McCauley was a native of Tuskegee, Alabama. Growing up in 1930s Alabama, racial segregation was a practice in public schools and other facilities that separated white and black (or non-white) children and adults. Non-white facilities and opportunities were significantly lower quality than white ones. After marrying Raymond Parks, a local barber, the two of them became more involved with defending the rights of black people and preventing injustice. Rosa is known for her act of bravery on December 1, 1955, when she refused to give up her seat in the middle of a public bus for a white passenger. When she boarded the bus, she took a seat in the first row of the “colored” section. However, as the bus traveled, all of the white seats were taken, leaving some white passengers standing. As was customary, the bus driver attempted to create more white seats by moving the “colored” section sign and asking the black passengers in those seats to move. However, Rosa Parks did not stand or move. She said, “I don’t think I should have to stand up.” Consequently, she was arrested. 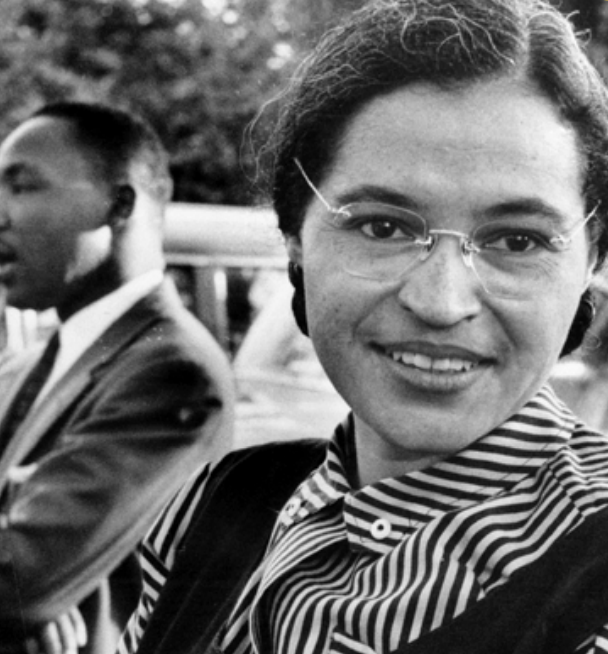 However, report of this event spread like wildfire, and Rosa Parks became a hero of the Civil Rights Movement of the 20th century.